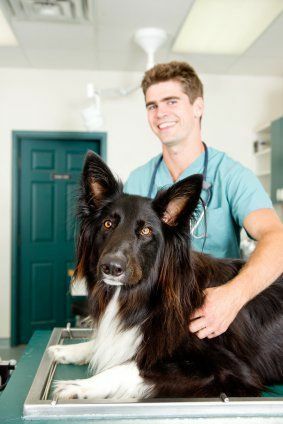 Veterinary technicians work with all kinds of animals and work along with the veterinarian. Vet techs are licensed and perform duties like preparing the animals for surgery, administering anesthetics and much more. According to the Bureau of Labor Statistics, there is much demand for the Veterinary technology jobs over the next decade. Utah state does not have its own certification or licensing program for veterinary technicians. Thus most of the technicians who are interested in pursuing their career in veterinary medicine try to seek certification through American Association of Veterinary State Boards (AAVSB). To get the certification from AAVSB, the technicians must be qualified to take the Veterinary Technician National Exam (VTNE) by completing an AAVSB approved two-year veterinary technology degree program. Once the vet techs pass the VTNE, a computer-based exam, they are considered as “certified” by AAVSB. Vet techs having a national certification can move from one state to another depending upon their needs. The fee for taking the VTNE is $300.00. To know the application deadlines, visit the link http://www.aavsb.org/VTNE/. 2. 5500 S. Redwood Rd. Vet tech schools offer a two-year Associate of Science degree in Veterinary Medicine (AS) or four-year Bachelor of Science Degree in Veterinary Medicine (BS) degree programs through online or campus based, which are approved by AVMA. Broadview University offers a two-year associate of applied science (AAS) degree program in veterinary technology. Accredited by the American Veterinary Medical Association, the program meets the educational requirements which are necessary for taking the Veterinary Technician National Exam. The University offers Veterinary Technology Career services for its current as well as alumni students, helping them in their job search. Broadview University-Layton, UT campus is located at 869 West Hill Field Road; Layton, Utah 84041. For more information call 208-577-2900. Broadview University-Orem, UT campus is located at 898 North 1200 West; Orem, Utah 84057. To know more details call at 801-822-5800. Broadview University-West Jordan, UT, campus is located at 1902 West 7800 South; West Jordan, UT 84088. For additional information call 801-304-4224. Program costs: The tuition costs $44,820, with fess $1,193 and books costs $3,166. Contact Information: For more details contact the University at 1-877-480-3335. BATC offers Veterinarian Assistant/Pre-Vet Tech Course for those who are interested in working at veterinary clinics or want to pursue further education in the veterinary field. The course takes 10 months to complete which includes non-paid externship for 180-hours working in a veterinarian facility. The college provides the course for every quarter with an option of waiting list. To get on their waiting list, the applicants must call at 435-753-4708 ext. 207. When an opening is available, the applicant s will get a call and then they have to register with Student Services by calling them at 435-750-3250. The course will be conducted at BATC’s Logan West Campus on Monday through Friday from 12:30 p.m. to 2:30 p.m. for high school students and from 9 a.m. to noon for adult students. Topics related to clinical procedures, patient management and nutrition, emergency critical care, end of life, vet assisting clinical sciences and applications and much more will be covered in the course. The applicants must be at least 18 years of age who have graduated from high school or might have earned their GED. Before getting enrolled in the course, the applicants must take an assessment test at BATC, which covers basic topics like keyboarding, reading, ratios/proportions, math and fractions/percents. Applicants must schedule an appointment with the Assessment Center by calling them at 435- 750-3188 in order to take the test. Program Costs: The course costs $1,080 which does not include the costs of books/supplies. For more information about the course tuition and fee schedule, click on the link http://www.batc.edu/index.cfm?page_id=99. A $50 fee for background check. There will be a CPR fee if the applicant does not have current CPR certification. The applicants having current CPR certification must make sure that their certification does not expire while they are taking the course. Contact Information: To know more details, contact Susan at ssleight@batc.edu or call at (435) 753-4708 ext. 207. The college’s Logan Wst Campus is located at 1000 West 1400 North; Logan, UT 84321. The University’s Department of Animal, Dairy & Veterinary Sciences (ADVS) provide undergraduate degree programs in Veterinary Science, Animal Science and Dairy Science with veterinary medicine as one of the emphasis field among the various extension specialists. The department provides BS degree in the Bioveterinary Science Emphasis, which is a pre-veterinary program, primarily designed for those students who are interested in applying to vet schools. The department also offers MS and PhD degrees in the Dairy, Veterinary and Animal Sciences with specialization in Animal Health and Disease, Reproduction and Development, Animal Nutrition, Animal Molecular Genetics and Animal or Dairy Management. Utah State University (USU)’s Department of Animal, Dairy & Veterinary Sciences (ADVS) partnered with the Washington State University (WSU) College of Veterinary Medicine offers a program in veterinary medicine. The program accredited by American Veterinary Medical Association (AVMA), leads to a degree of Doctor of Veterinary Medicine (DVM). Every year the USU/WSU DVM program accepts 20 students from the state of Utah and 10 non-resident students. At USU’s Logan campus, the students receive their pre-clinical training during the first two years of the program. Later on they receive their clinical portion of the program at WSU’s College of Veterinary Medicine in Pullman, Washington for a period of remaining two years. The Department of Animal and Veterinary Sciences of Brigham Young University (BYU) offers degree programs in animal science with three emphases which are veterinary science, agribusiness, and animal biotechnology. The veterinary science emphasis undergraduate program prepares students who are interested in pursuing higher education in professional vet schools. The program provides subsequent careers in the fields of wildlife management, regulatory agencies, industries in the areas of consultation, pharmaceutical companies, livestock industries, private practice, research, higher education etc.